This type of speech sounds strangely familiar to what we heard out of John Kerry four years ago with his “global test” comment. But is Obama for real with these comments? Is he really prepared to limit driving and how much we eat? Is this what his campaign is about? Limiting our freedoms? Because if it is, it sounds and awful lot like socialism to me. 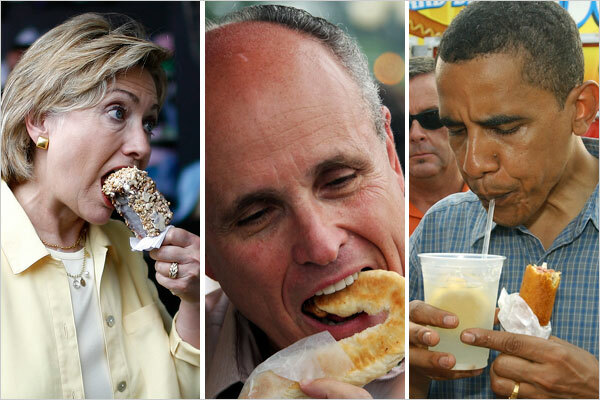 Would an Obama Administration really bring an end to “eating as much as we want?” Do we need other countries’ approval to eat as much as we want or drive as much as we want? Under Obama, would we really need the government’s approval to set our thermostats to 72 degrees? If Obama isn’t serious about this, then why is he bringing it up on the campaign trail? And how does he intend on regulating our overeating? Air strikes on Chinese buffets across America? Translation: You have to give up your good education and good healthcare so everyone can have lousy education and healthcare, because that’s the new American way. The Obama’s preach the Robin Hood philosophy. Take more from the rich and give more to the poor. Maybe someone close to Michelle should share with her that we already spend 60% of our federal budget on entitlements. If you get that number any higher we are bordering on an entire nanny state and the complete wussification of America. But, that of course, is the new goal of the Democratic party.